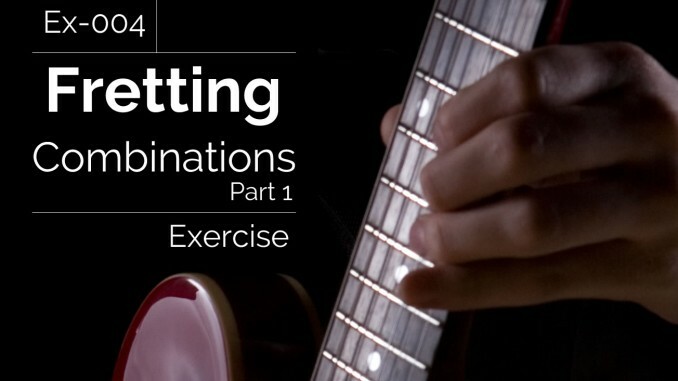 The goal of this exercise is to improve the speed of your fingers when playing on a single string in a given fretboard position. The example below shows the 6th string in 1st position. Place your fingers in first position on the 6th string with your fingers on frets 1- 4. Play the fingerings below (1=index finger, 2=middle finger, etc.). Increase the challenge by playing this backwards and playing it on different strings.